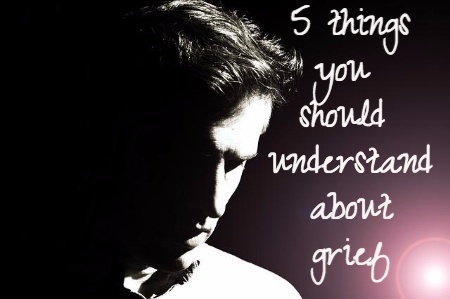 There are other situations and events that can result in feelings of grief. Grief is the response to a loss, and it’s important to try understand that the loss can affect us in profound ways. Psychologists and others point to “stages of grief” for those coping with loss. However, it’s important to understand that not everyone follows these stages — and they might not be followed in the same order. The stages of grief include denial and isolation, anger, bargaining, depression, and acceptance. Don’t assume that everyone’s grieving process is the same, and realize that the stages don’t manifest in the same order. Some people might not even go through all the stages. But it doesn’t mean that they aren’t grieving. Even if someone appears to be following the trajectory of the five stages of grief, don’t assume that once a stage is past, the grieving is done. The reality is that it’s possible to revisit stages already completed. Everyone grieves at their own pace and in their own way. Don’t expect someone to be “over it” anytime soon, and don’t expect that once a certain stage is passed that it is done with. Some people might assume that the grieving process is over once acceptance has been reached. This isn’t the case, however. Even after accepting the loss that creates the grief, it’s possible to feel other effects of grief. There might be times when sadness manifests strongly, or when there is a feeling of anger. In fact, for some, the grief never truly disappears. It’s possible to move forward with life, even when dealing with grief. But that doesn’t mean that the emptiness necessarily disappears completely. Finally, it’s important to understand that it’s okay to seek professional help. If you are experience grief, you can benefit from speaking with someone about the issue, and getting help from a professional who understands the process. Even if you aren’t feeling grief, but you are concerned about someone who is, it can be worthwhile to seek professional help. You might benefit from a professional who can help you learn to help your grieving loved one, or just give you a place to share your difficulties and feelings. Grief is complex and hard to predict. Knowing a little more about it, and allowing for time to heal, can help you as you go through the process yourself, or it can allow you to help a loved one struggling with grief. ← How Far Should You Plan Ahead?